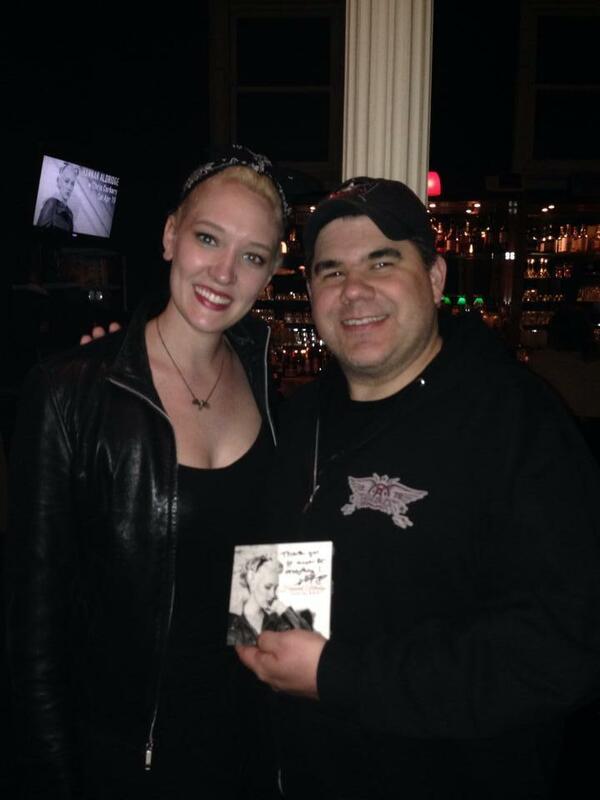 In just ten days Hannah Aldridge’s debut record, “Razor Wire” will be released. After getting a chance to listen to and digest the album, we here at The Music Room feel that it is simply too good to just write a normal review of. Since each song is wonderful in it’s own way, we are going to feature a song a day leading up to the May 13, 2014 release date. If at any point in the next ten days you come to the realization that you have to have this record (and you do) you can order your copy here. It will also be available on iTunes on May 13th for digital download. 1. “You Ain’t Worth the Fight” – We all probably know at least one couple that do nothing but fight. It never fails, every single time you see them, they are going at it about something. In this upbeat opener of “Razor Wire,” Hannah Aldridge makes it clear that she is not willing to be involved in relationship drama like that. In what can basically be described as the ultimate kiss-off song, Aldridge tells the unfortunate guy that her time is too valuable and that she is out of here. Not only does this song send a strong message, it also showcases Aldridge’s abilities as a song writer. There are several times throughout the song where Hannah uses her words to create strong metaphors to make her point. Her songwriting can only be described as sophisticated and powerful. The good news is, we’re just getting started! 2. “Old Ghost” – There is undeniably something special about the music that comes out of Muscle Shoals, Alabama. Some even attribute the sound to something spiritual that rises out of the Alabama river mud. If that theory is true, then “Old Ghost” must be covered in that mud. The track opens with a cool guitar line from Andrew Sovine that leads right into a soulful vocal delivery from Aldridge. While the sound of the song is something supernatural in itself, the subject matter is not so hard to believe. Hannah tells me that she wrote “Old Ghost” about a guy that she dated briefly that could not get over his ex, so she wrote the song for him. What a nice way for him to recall his emotional screw up. Aside from another brilliant performance from Hannah, this song is the perfect opportunity to mention that the musicianship on the entire record is top notch. There are numerous contributors on the record, but the core group is Sovine on guitars, Brad Pemberton on drums and percussion, Andrew Higley on keys, and Lane Baker on bass. I believe that the playing on this record would make “The Swampers” proud! “Pearls” is the perfect example of Hannah Aldridge’s skill as a story teller. Through the mixture of lyrics that tell just enough, a vocal delivery that brings believability to the story and a musical arrangement that creates the perfect mood for the scene, Aldridge tells a tale that will pull the listener right into the story. By this third track, the listener should be able to tell that there is much more to Hannah Aldridge than just being a singer/songwriter. Her attention to the details and the subtleties of her arrangements make her stand out from the pack. Case in point is the saw solo in this song. It sounds crazy, but when you here it, it just works. 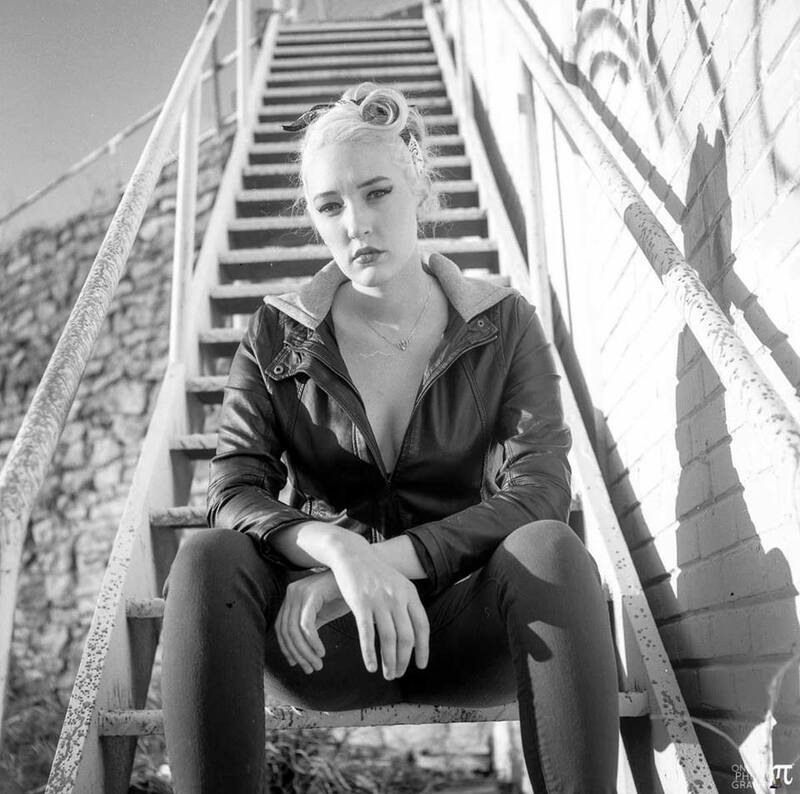 Hannah describes her sound as Dark Americana and after you listen to “Stand of Pearls” you will know what she means. 4. “Razor Wire” – As good as the first three songs of the record are, the title track, “Razor Wire,” is a launching pad for where the rest of the record goes from here. As a writer, I have a huge responsibility to find the right words to do the music justice. I am almost tempted to stop right here because the upcoming material is just so powerful, I don’t know how my words can even come close to doing it justice. However, I will carry on with the disclaimer that my words will just offer a small insight into this music. You truly need to experience it for yourself to fully understand and appreciate it. This music is meant to be felt, and not just heard. “Razor Wire” was written in the middle of the night after I went and pawned my wedding ring. It was the song that kind of made all of the thoughts in my mind regarding my divorce come together into something that made sense to me. 5. “Parchman” – Hopefully your goose bumps from “Razor Wire” have not gone down yet, because our next song will surely cause them to come right back. “Parchman” finds Hannah playing the role of a woman who took matters in her own hands and finally finds peace with the results of her decision. The song opens with a tender piano line but it doesn’t take long to realize that this is not a sappy feel good song. In case you are unfamiliar with Parchman, it is another name for the Mississippi State Penitentiary. My own interpretation of the song leaves me to believe that the woman telling her story was abused by a man for many years until she was left with no other choice but to take the law into her own hands. In fact, she offers a confession, “I might have killed that man but I’m not guilty, no. Cause I’m just waiting on my turn to feel that needle burn when they send me home “. At the risk of being accused of sounding redundant, I will not talk about how great Hannah’s songwriting is. And I will not talk about her powerful vocal delivery. Instead, I will tell you about the first time I heard the song. It was when I saw Hannah live for the first time. At this point I had not heard the album, let alone this song. 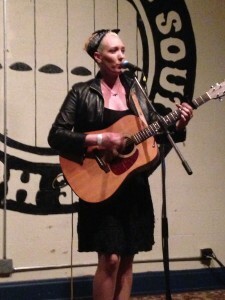 When she performed this song and got to the chorus “Oh, Parchman is my home…” I was completely blown away. The best way I can describe the emotion of her performance was like a warm knife cutting through butter. Okay, so I guess I am talking about her vocal ability again. But my point is new. After you buy the album “Razor Wire” and come to appreciate it for the brilliant record it is, your next goal should be to see Hannah live. As good as she sounds on the record, she will manage to take your appreciation of what she does to a whole new level. “Parchman” was written by me, Gary Baker , and Greg Barnhill. We wanted to write something that could be a voice of the underdog. I also wanted it to be a voice for woman. Several female country products of Music Row have attempted to write…rather sing a song with this kind of message. Most have failed. The thing that makes “Howlin’ Bones” work is that it is not contrived. It wasn’t written in an office by a man and given to the woman to sing. It is an honest expression that is coming from an honest place. Anger is a real emotion that comes during a breakup. In this case, the words are coming from the heart that felt the pain. That makes the song real. If after this song you don’t get that Hannah Aldridge is the real deal, I don’t know what else I can say to you. If you do get it, what are you waiting for? Order the album now! 7. “Try” – The seventh song on “Razor Wire,” is quite a treat. Aldridge takes a break from her own material for the albums only cover song, “Try.” Have you ever heard of a guy named Jason Isbell? Yeah, I thought so. “Try” is a song that was included on Isbell’s 2007 release, “Sirens of the Ditch.” Like Hannah, Jason Isbell is also a Muscle Shoals native. As she was going through Isbell’s back catalogue of music a few years back, this track became one of her favorites. When it came time to put the record together, she thought that it would be fun to include it on the album. There is one thing that Hannah’s version has that Jason’s does not….The 400 Unit. For those of you who don’t know, The 400 Unit is Jason Isbell’s band. So, with Isbell’s blessing, The 400 Unit went into the studio with Aldridge and put their mark on the song. The final product is a scorcher with The 400 Unit’s Sadler Vaden laying down some awesome guitar work throughout the song. The song also showcases Aldridge’s ability to rock out. This collaboration really speaks of what’s going on down there in Muscle Shoals. Take this opportunity to discover Hannah Aldridge, and to also dig a little deeper into Jason Isbell and The 400 Unit’s material. 8. “Black and White” – Something truly special happened with today’s song, “Black and White.” The song which Hannah wrote for her son, Jackson, happened to fall on Mother’s Day. I am going to switch things up a little bit. It seems only right for Hannah to tell you about this song. I will offer my insight at the end. Check out the video of “Black and White” here. 9. “Lie Like You Love Me” – I am so excited that we have come to this song because it is my favorite among the excellent collection of songs that makes up “Razor Wire.” I have to take my hat off to the songwriters of this gem, Aldridge and Randall Clay. While writing a true country music song seems to be a lost art these days, these two have managed to do it perfectly. Gone are the trite clichés that seem to be the formula for today’s “country music.” Instead, they have written a song with honest emotions and feelings. It is raw and real. From the opening line, “I miss you like morphine straight to my veins,” on top of the strum of a single acoustic guitar, to the simple yet powerful harmonies of the chorus, this song is brilliant in its execution. And I cannot finish without mentioning Hannah’s delivery on the song. County music has a long lineage of females who could sing a song with such conviction that you just believed everything they were singing. Artists like Patsy Cline, Tammy Wynette, Dolly Parton, Loretta Lynn, Lee Ann Womack and Martina McBride. There has been a gaping hole in that lineage for some time now. Hannah Aldridge manages to not only fill that void nicely, but also fits right in with the above mentioned company. “Lie Like You Love Me” may not mention trains, mama or prison, but I believe it is a perfect country song for today’s times. We have come to the tenth and final track of the album, or have we? 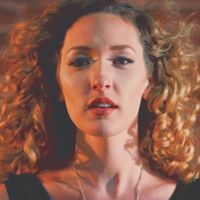 The song “Lonesome” is a beautiful and intimate song that offers one last reminder of Hannah Aldridge’s impact as a songwriter and as a performer. It is a quiet song that finds Aldridge in a discussion where the couple has decided to part ways after their kids have grown and moved away. It is not an angry conversation, but it is terribly heartbreaking. In this conversation there is no talk of division of property, but rather division of memories. “You take the pictures from Morocco, I’ll take that postcard from L.A.” It is a simple song that has Hannah singing over a couple of acoustic guitars, but it cuts deep to the heart. There you have it. This is “Razor Wire.” I really love this record and I believe that you will too. Hopefully my words were able to do the music some justice. But the good news is that you no longer have to take my word for it. “Razor Wire” is now available for purchase at iTunes, Amazon and at www.hannah-aldridge.com. Pick up a copy for yourself right now. When you do, you may even find one or two musical treats not listed in this review. I would love to hear your thoughts on the record. Feel free to share them in the comment section below. Finally, I would like to send out a very special thank you to Hannah Aldridge. Thank you for allowing me to be a part of the promotion of this record. Your insights really added something special to this project. I wish you nothing but the very best with this record and all the ones to come!